Meuysey Hampton is a small village in south east Gloucestershire, west of Fairford. The Norman church of St Mary's stands at the southern edge of village looking over fields. within the church is this fabulous memorial to physician James Vaulx and his two wives. 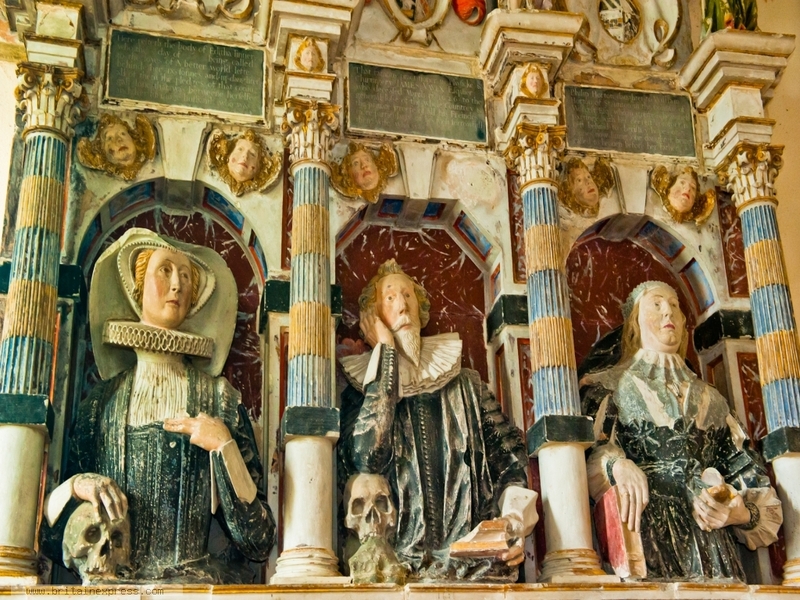 The memorial was erected in 1630 and shows the doctor and surgeon resting an elbow on a skull, a sign of mortality. Note that his second wife, Phillipa, on the right in this photo, does not have a skull, an indication that she was still alive when her husband died.